Happy Monday everyone! 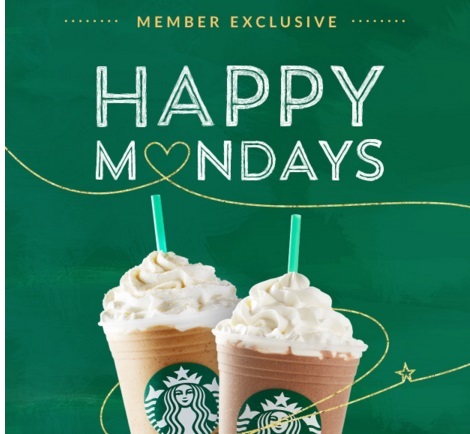 Starbucks "Happy Monday" offers are back this month! Every Monday there will be a new special offer available! Today's offer is 50% off any Frappuccino blended beverage! This offer is valid today only, Monday, March 7 2016 between 2pm-close at participating Starbucks locations. You must pay with your registered Starbucks Card/App to get this offer. You can enjoy it as many times are you like today, there is no limit.